A timeless story told with tropes that were thought to have died out a few years prior. Beware! There are slight spoilers ahead, so if you haven’t watched the show yet, we recommend doing that beforehand. Unless you don’t mind being spoiled, then go right ahead! Tada Never Falls in Love (or Tada-kun wa Koi wo Shinai) at first seems like the kind of refreshment in the ever so creative drought that would’ve quenched the rom-com field, but instead quickly treads back into the recognizable rubric that romantic anime can’t seem to find its way out of. Sadly, this problem stems from its hidden premise; the “true plot” that’s overtly hinted at early on in the show. In fact, many of the show’s “twists” are spoon fed within the first two episodes, with rapid, unsubtle uses of Chekhov’s gun (there’s a ton of shots where characters’ eyes widen when seeing a picture or poster). This, tagged along with highly familiar character placements and tropes, quickly shows that the series has been driving from dry inspiration early on. Teresa Wagner is a young woman from a fictional small European country (that’s supposedly based on Luxembourg), studying abroad in Japan. On her first day, she gets lost in one of Tokyo’s largest parks and receives help from Mitsuyoshi Tada, a wonderful chap whose defining personality trait is that he has no personality. Tada-kun can be compared to something as vividly striking as a block of wood; one can certainly believe that he has never known love before. It’s hard to believe anyone with such a lack of essential nature could ever conjure up such emotion as “love.” To be fair, Teresa isn’t much better herself. She’s a woman from Europe, covered with an imprint of the Japanese yamato nadeshiko (the ideal Japanese woman who’s soft spoken, shy, and innocent). She has two defining traits: she loves Japan and she’s secretly royalty… no, really, the first episode tosses out pretty blatantly that she’s a princess. This part of the story isn’t too unbelievable, since Kim Jong Un attended a summer camp in Switzerland when he was a kid. So maybe Teresa is really lying low in order to more easily outline her plans to have fake Luxembourg invade Japan. 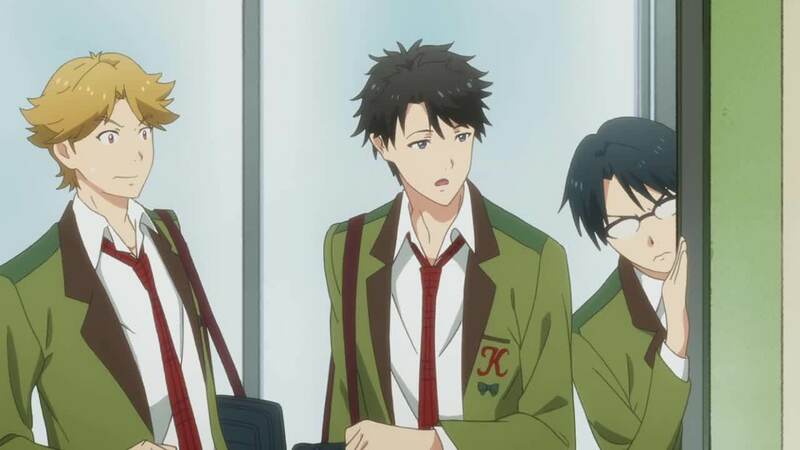 The classic transfer student scene. Otherwise, Teresa doesn’t act so much as a real person, but as an ideal of a culture from a different continent than the character is from. But the series does give itself reason to draw her character the archetype; she’s royalty after all. And this is where Tada-kun falls, once again, into the wrong era. 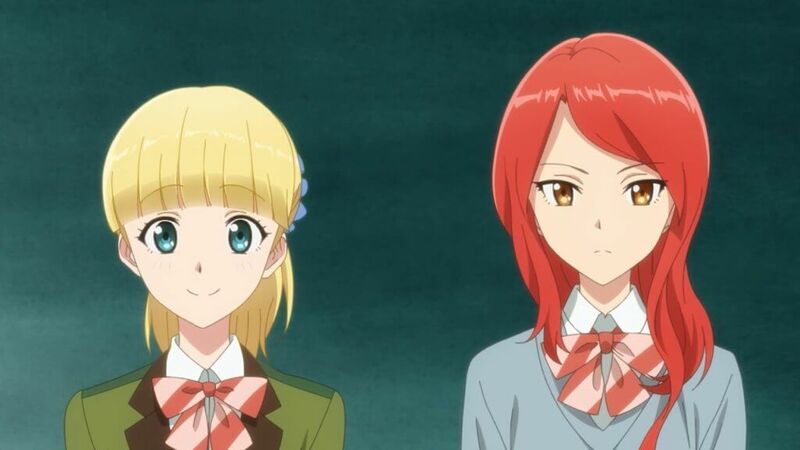 The Royal Wedding in Britain, between Prince Harry and American commoner Meghan Markle, that occurred alongside Tada-kun’s airtime, only fires ammunition at the anime’s weird (and sometimes outdated) portrayal of Western royalty. It seems that much of Japan still envisions European monarchies as they were centuries ago. Perhaps the writers of Tada-kun don’t even expect Buckingham Palace to have wi-fi, thinking the British monarchy opt for letters written on typewriters by the rumored ghost writer named Violet Evergarden. This illustration of Western monarchies, which always includes blonde hair genetics and the idea that they have any political authority anymore, is littered in every anime that touches upon it, even if they take place in the present day. That’s not to say tradition and conservatism don’t exist in the monarchy (guests can’t shake the Queen of England’s hand without a glove on), but at least not in the awkward way it’s usually portrayed in anime. Neither does anime ever seem to include these idiosyncrasies in its portrayal of royalty. There is novelty in the basic premise of Tada-kun though: a timeless story of commoner and royalty falling in love. It’s a showcase that societal standards really don’t matter when it comes to who people fall in love with, even if that person has the charisma of a decorative fake fruit bowl. While it’s easy to say that Mitsuyoshi falls in love with Teresa because she embodies the characteristics of an “ideal Japanese woman,” who prior to her have only existed in works of fiction for him, it’s puzzling to see where the love stems from vice versa. Two best friends filling in their roles as the comic relief and the perverted one. However, Mitsuyoshi’s best friend Kaoru fills in for both when it comes to personality. It’s been said that before production, Kaoru discovered the anime Clannad and immediately sympathized with the character Yohei Sunohara. Kaoru then took his role as the main protagonist’s best friend and showed up on set with lively colors everyday. He knew his position very well; the male best friend would always be the slapstick comic relief. That he would be literally nothing else, other than the person who would rob the audience of their laughter through getting physically and/or emotionally scarred. He knew very well that Teresa’s best friend, Alexandra, was meant to beat him up for being his comic relief self. So despite every time he gets hurt, he still says the same stupid perverted things to fulfill his quota. That is dedication to the role. Alexandra herself was also very confident in her role, understanding it quite well. Reports claim that she spent months studying up on her character, particularly examining Nisekoi’s Seishiro Tsugumi. The childhood friend-turned bodyguard; a character Alexandra soon mastered. She was well aware that she would have to play everything by the book; she would have to forfeit matches to let Teresa win & she would always act as Teresa’s alarm for hesitation. Perhaps the only reason for her to ever lighten up is to consume something non-alcoholic, because that’s how alcohol-free products work. After that, there are two other characters: one who’s basically sexist, but is supposed to be cute because of that, and the other feeding into said cute sexism. Basically, a guy who doesn’t like women unless they show off their bodies in magazines and hates a girl who doesn’t fall into his ideal, but in actuality she is a gravure idol in secret. So romance between them ensues later on. It’s a very endearing side story that begins after a camera tag game in episode two. According to Tada-kun, a camera tag game is a game of tag where players must snap photos of each other instead of tapping them. And, as seen in the show, camera tag is extremely effective in getting couples steamy. Studio Dogakobo shines with their animation once again. When it comes to animation, Studio Dogakobo once again delivers with amazing snippets of character animation and great character designs. However, beyond that, the production values feel a bit stale at best. The backgrounds are forgettable, lacking the atmosphere of their real-life counterparts; it’s hard to make Ginza not look lively, interesting, and/or colorful. The music as well doesn’t provide much personality for the rest of show, or at least it doesn’t sound very personable when integrated into scenes. But the problems in the show are more about its narrative choices than its generally mediocre production elements. Unoriginality isn’t necessarily Tada-kun’s biggest problem; it has a premise that can exist in any era. 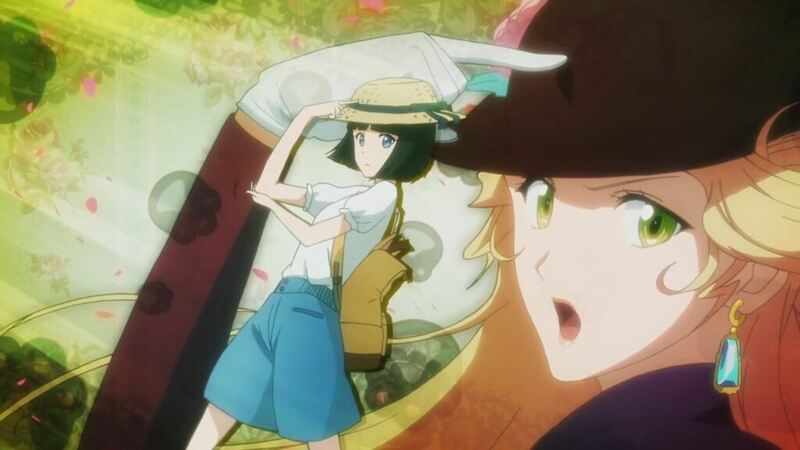 The main issue stems from how it treads such familiar territory in exhaustingly conventional ways; routine storytelling in anime that seemed to have died off in recent years. Along with that, it lacks enough heart to make any conventional story charmingly fun at the very least. There are specks of charm, but they’re spread too far and thin to make the show feel it had reason to tell its story.